Danny Hellman Illustration Blog: A comic strip featuring WMMR's Preston & Steve for PHILADELPHIA Magazine. A comic strip featuring WMMR's Preston & Steve for PHILADELPHIA Magazine. 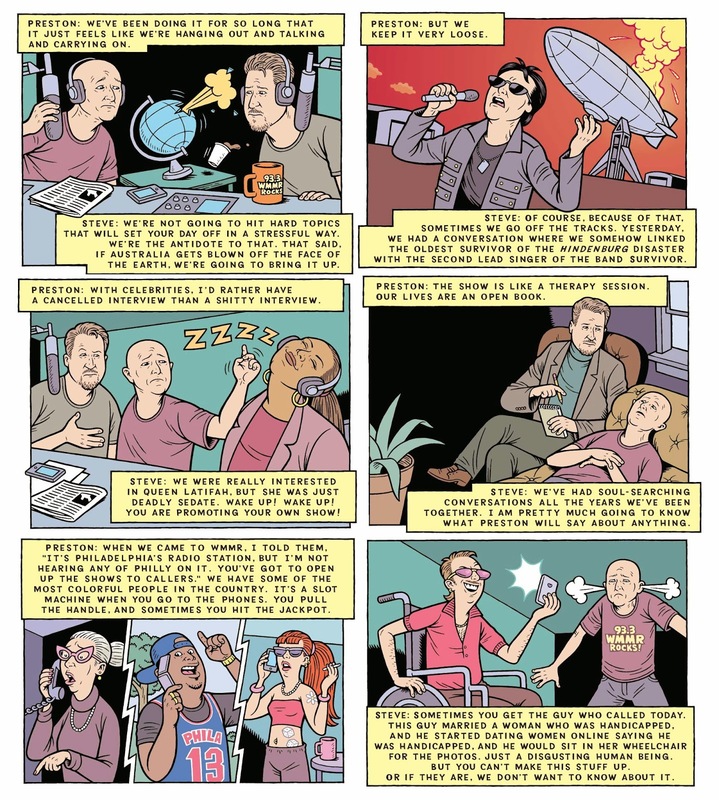 A comic strip featuring WMMR's Preston & Steve for PHILADELPHIA Magazine. Words by Victor Fiorillo, art direction by Michael Wilson, drawings by yours truly.